Mister Vee self steering systems and accessories and Navik replacement parts (products) are sold under the brand name Mister Vee by Sven Heesterman, running a business named Mister Vee/Svennovations, Oude Huissenseweg 4B 6834GS Arnhem, the Netherlands. Registration at Chamber of commerce 09086952. These terms of sale are part of the agreement by which one or more products are sold to you (the customer) by Sven Heesterman (Mister Vee). The customer is a consumer and is ordering the product(s) for use on his own boat or a boat under his command, for non professional use. This agreement is subject to Netherlands law. During the order process the customer must agree to these terms of sale in order to proceed. Windvane self steering is not a push button affair. You will need to learn to sail your boat together with your self steering system. The servo pendulum systems from Mister Vee steer the boat as a balancing act between several influences, like wind speed and - direction, wave height and - direction and the resulting movement from the boat. The systems are designed so that there is an optimal balance between course keeping and sensitivity. However, sometimes the balance that kept the boat on course can be disturbed, resulting in unsatisfying steering. It is very likely that at some point during using the system it will no longer steer to your satisfaction, or you can not get the system to steer satisfactory as a result of the acting factors. Very often a slight course change can cure this, if you have exhausted altering the settings of the wind vane. Mister Vee self steering systems are made to order, in one batch per year. Orders for Mister Vee self steering systems outside the schedule mentioned below can in general not be delivered unless there has been a cancellation. Replacement parts for Navik self steering systems can be ordered year round and are generally ready for shipping within one week, subject to the availability of parts. We will try to get parts for Navik made and shipped as quickly as possible but if parts need to be manufactured, the normal process can take up to three weeks before everything is ready for shipping. If you want your parts to be shipped sooner, a eu 45,-- ex VAT surcharge is added to your order. All orders need to be placed through the Mister Vee webshop. During placing the order, a login for the Mister Vee website is created if the customer does not yet have a login. The customers order is stored on the Mister Vee website and can be changed by the customer as well as Mister Vee. It is the customers responsibility that the shipping address and other (personal) details that is/are stored within the order is/are correct and remain correct for as long as necessary. Customer can supply his telephone number as part of these details which will primarily be used for shipping. In case there are problems with delivering the shipment that result in extra shipping cost, and these extra costs could have been avoided if the telephone number had been supplied, the customer is responsible for these extra shipping costs. After filling out all details trough the Mister Vee webshop and placing the order the customer will receive a payment request. If customer places an order through other means than the Mister Vee webshop there is a bigger risk for details like shipping address to be transmitted incorrectly. Any costs that come as a result of mistakes like this are to be paid for by the customer. If the customer wants immediate delivery and the products are in stock, payment is expected within 2 weeks unless stated otherwise. Immediate delivery is subject to the availability of parts. If the parts are not in stock customer is not expected to pay until a request to do so has been made by Mister Vee. The moment that the customer makes the payment is to be regarded as the moment the customer legally places the order. If the customer has not paid for the order within 2 weeks after receiving the payment request or notification of imminent shipping, the order may be considered as canceled. After receiving the payment Mister Vee will ship the product(s) to the shipping address mentioned in the order. The items mentioned in the payment request are what the customer ordered. The shipping address that the customer entered during the order process is the correct shipping address and that packages can be received there. All self steering systems, parts and accessories are pre-assembled as far as compact shipping will allow. All manuals for assembly, fitting, use and maintenance, plans and alike are available trough the Mister Vee website, either as one or more documents for download or one or more web pages. Access to these documents and/or web pages may be restricted and only accessible to the customer by one (or more) personal login(s). Any information that is available to the customer as a result of having this (these) login(s) is for the customers personal use only and may not be shared with anyone except other users of Mister Vee self steering systems, unless stated otherwise. Using the product is at the customers own risk. No guarantee regarding the use or safety of any product sold under the brand name of Mister Vee(r) or through the Mister Vee website is implied other than as mentioned in the paragraph "warranty and guarantee" below. It is expected that the customer will run trials of the fitted system under mild circumstances to test for potential problems. After the payment has been received, the product will be packed and shipped. A completed invoice will accompany the order or will be sent separately by email or post. This invoice includes an invoice date. This is the date of purchase as mentioned in the "It will steer the customers boat or get a full refund" guarantee. When the customer receives the order, check if the packaging has been damaged or has been opened. If it has been damaged or opened, please take pictures of the situation so Mister Vee can claim the insurance applicable. After receiving the shipment, please check the contents against packing slip within 14 days of receiving the shipment. If Mister Vee have not received word that anything is wrong with the shipment within 14 days after the product was delivered, Mister Vee will consider the shipment to have arrived complete and in good shape. If the customer wishes to cancel the order before making the payment, just do not make any payment and send an email to Mister Vee that the customer wishes to cancel. Cancel the order by email or phone. The payment will be returned immediately. After payment but before fitting to the boat the customer can cancel the order before the system has been put together within 14 days after receiving the shipment. the customer will get a refund for the total amount minus expenses that were made to receive payment. - A specification of mentioned expenses will be given upon request. - If the system has already been shipped the customer can refuse or return the shipment and have the total amount refunded, minus any expenses that were made by Mister Vee to receive the funds and minus any shipping cost (needing to be) made by Mister Vee. 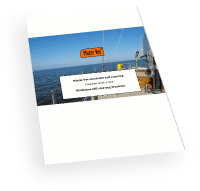 the customer can return the system after fitting to the boat as described in the "It will steer the customers boat or get a full refund" guarantee as described in the next paragraph. All self steering systems sold by Mister Vee are guaranteed to steer the customers boat. If they do not, the customer can get a full refund of the purchase price upon returning the system. To claim this refund, the system must be returned within 13 months after receiving the system. The boat type for which the system is to be used must be made known to Mister Vee before purchase. Other restrictions may be added to the payment request. One or more pictures of the finished mounting to the boat must be sent to Mister Vee by email. If there are problems in getting the system to work, ample attention has to be given by the customer as well as Mister Vee to solve the problem. If the customer is unhappy with the performance after this effort the customer is free to return the system and get a refund of the purchase price. This refund can be negatively affected by modifications made by the customer without having been advised to do so by Mister Vee. If any part of the customers system breaks within 3 years of purchase, resulting in an unusable system, it will be replaced free of charge. The invoice date is the date of purchase. If the invoice has not been made or has gone missing, the three year warranty starts one month after the (final) payment has been received by Mister Vee. Replacement parts will be shipped free of charge with the cheapest option, usually by post. Customer can request to have the free replacement parts shipped in a quicker way at a surcharge. This guarantee does not apply to deterioration of the pendulum rudder blade resulting from poor water proofing, damage caused because of poor protection from UV radiation or being damaged by coming in to contact with an outboard engine. Mister Vee may require to have the part returned for inspection or see photographs of the part. Any of the pictures, videos or other documents sent to Mister Vee by the customer may be used by Mister Vee in support of running it's business. This may include but is not limited to publishing the documents on the Mister Vee website or sharing the documents with other the customers.